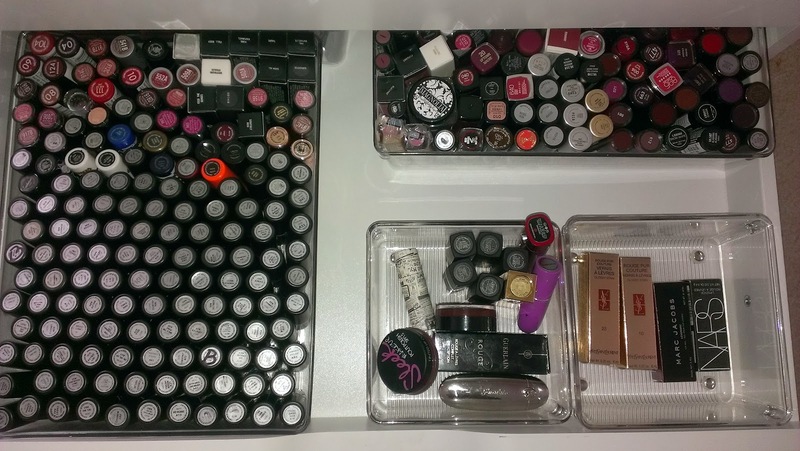 so I paid The Container Store a little visit over the weekend. and it was time for me to complete the last stretch. 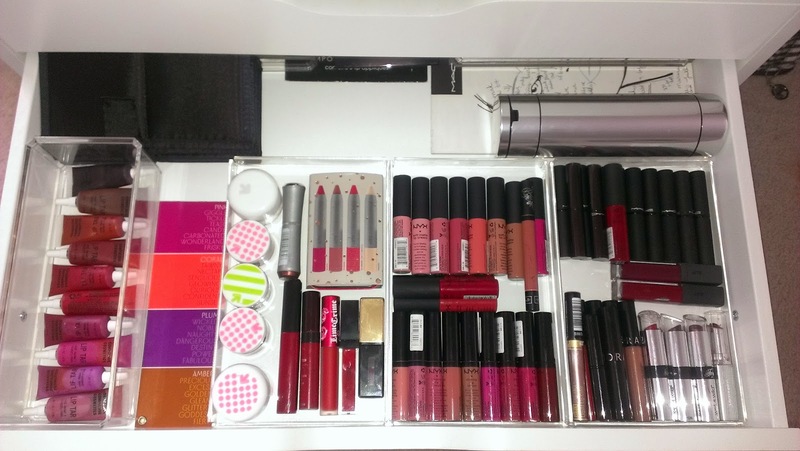 but this will do for now. 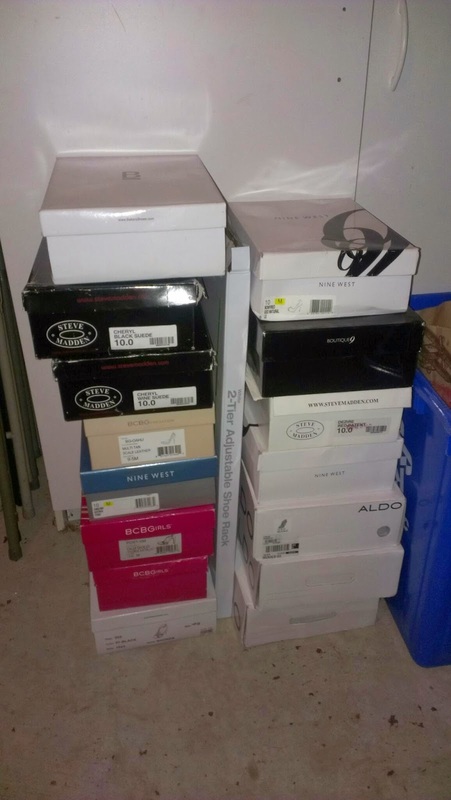 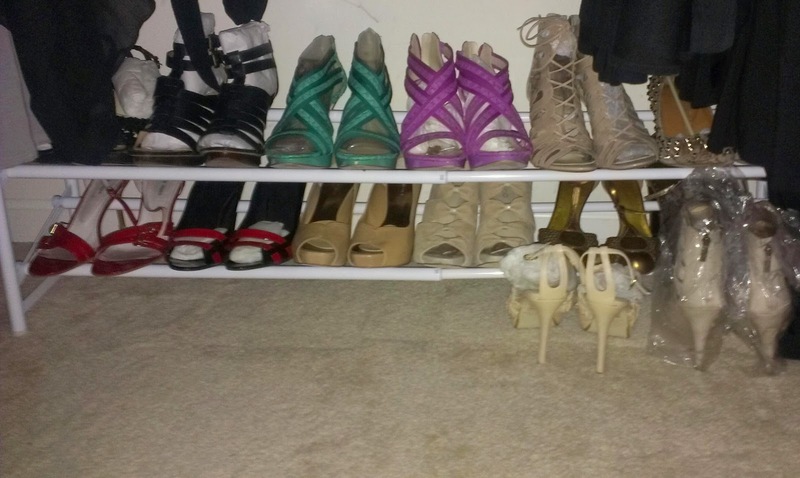 This is what I purchased to display my stilettos. 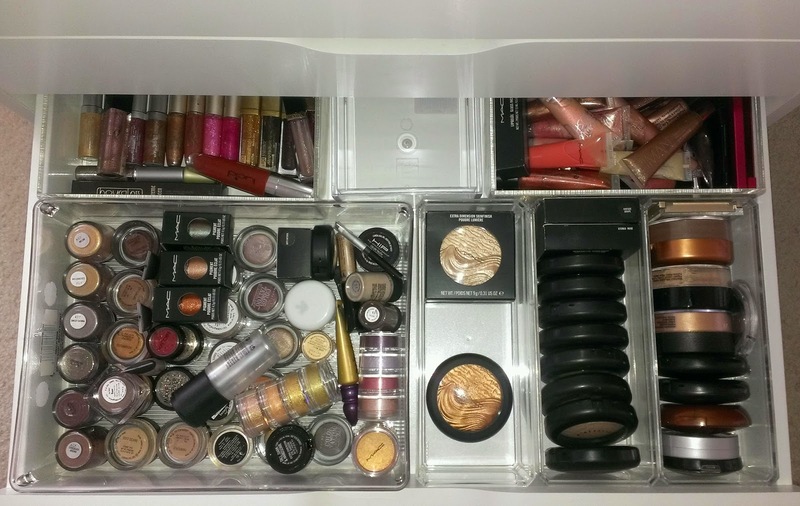 In other storage news, I recently completed a comprehensive makeup storage project. 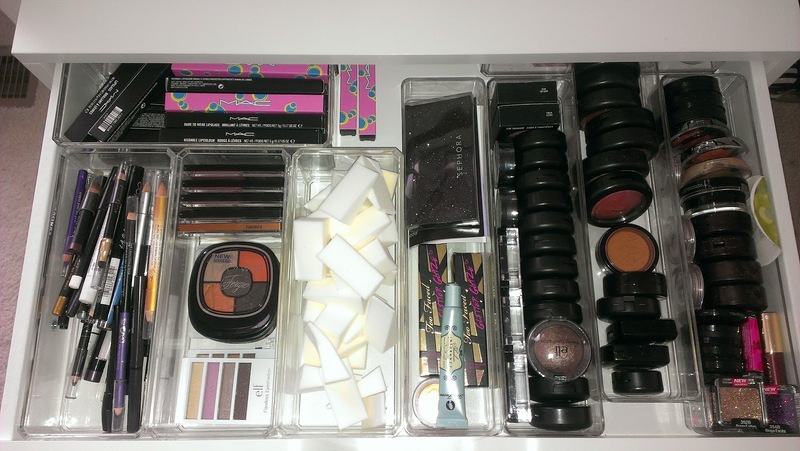 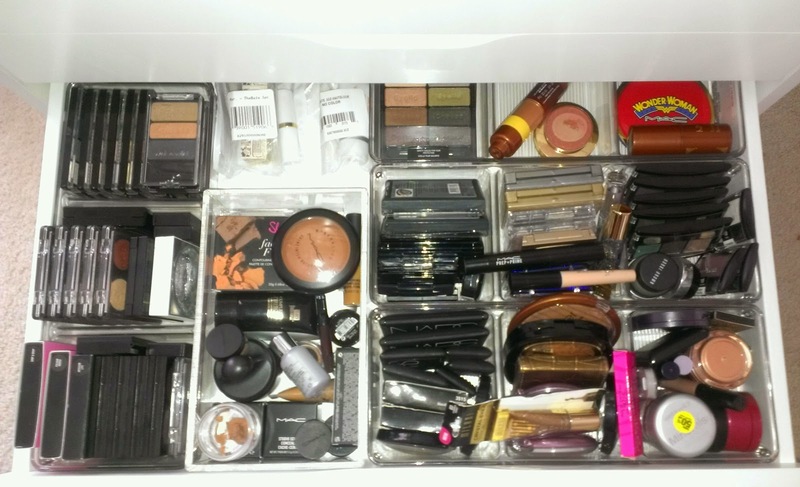 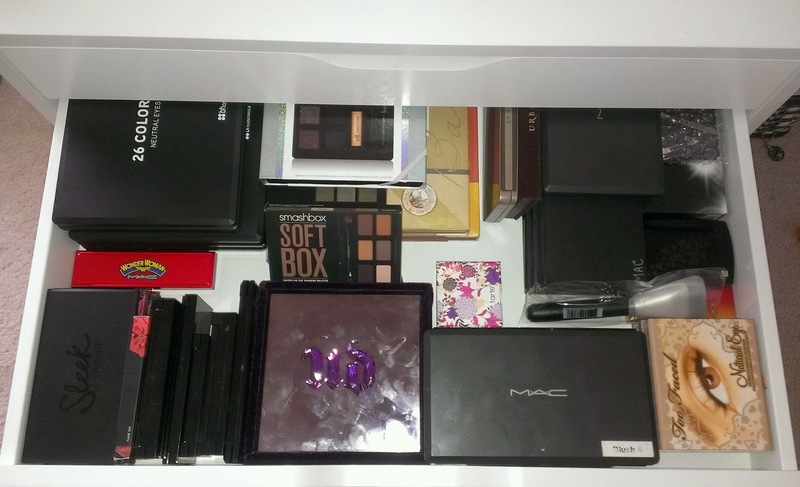 You can see past makeup storage "experiments" here and here. 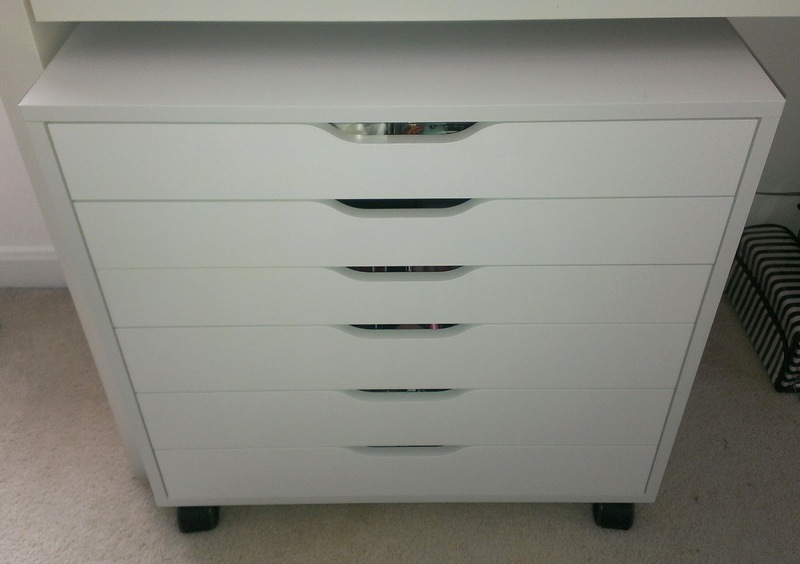 . . .Aaaaand, I tied it all together in this little number from Ikea.